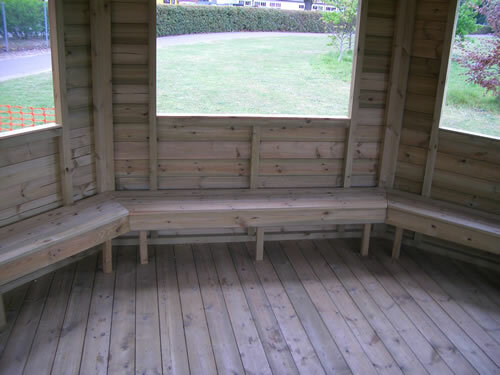 A project for a private school, the area was being re-landscaped to provide an out door teaching area. The building we produced is 4.5m in diameter and will be used for the younger children. Manufactured from 22mm tanalised cladding on a heavy duty framing. 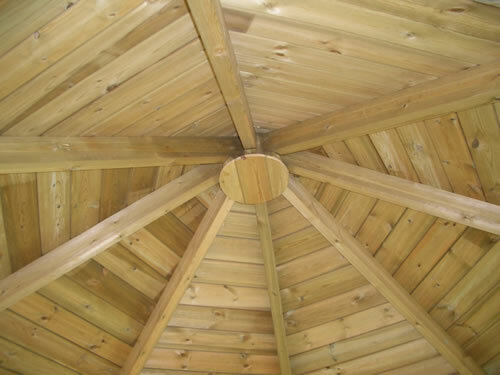 A double skin roof with heavy duty felt beneath shiplap slats for a rustic appearance. Biohort 160 Storemax 5'4x2'7 with twin roller shutters for full access. 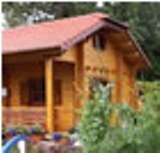 Kensington summerhouse 3.05 x 2.44m traditional chalet style building with lots of options available. 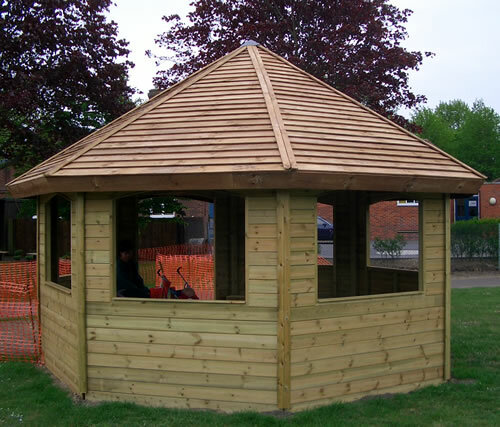 This Helena Veranda is an ideal garden structure. Perfect for enjoying the outdoors in all weathers. 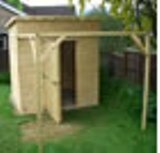 13'x9'8"
The Luton log cabin measuring 4x4m (13'1" x 13'1") is built using 34mm logs, ideal for office use. Silverback garden parasol with high level of protection from the sun's harmful ultra violet rays. Ideal for the garden or beach. Ultra bright and ultra cool, this hammock is made of parachute silk. Exceptionally hard wearing and sturdy yet still incredibly soft and pleasant on the kin.